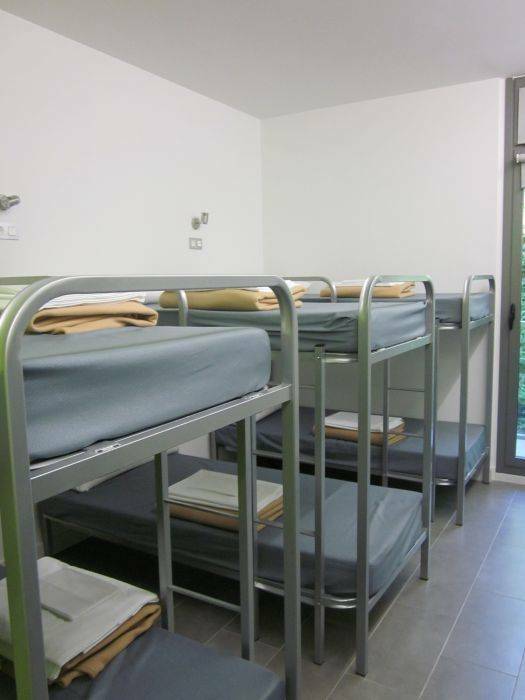 Amongst its services, the hostel includes a communal kitchen with a fridge and freezer, an also communal lounge with a TV and games, a mountain-view terrace, complimentary parking space, storage facilities, a small football pitch and a ground terrace with a full park view and picnic tables. Our shared rooms are bright and have heating as well as an en-suite bathroom with shower. Bed linen and towels are provided. 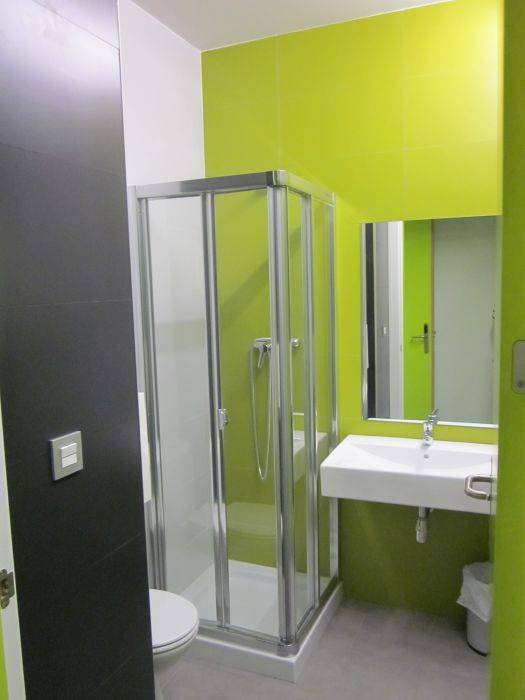 The hostel also offers laundry service placing washing machines and dryers at your disposal. There is a restaurant in the vicinity of the hostel that serves local and international dishes for lunch and dinner. Please inquire about opening hours. The Green Nest Hostel Uba Aterpetxea is within a 15 minute driving distance from downtown San Sebastián, where you can find the Kursaal convention center, a wide assortment of excellent restaurants and the famous Concha and Zuriola beaches. The front desk can be found on the ground floor, where clients can enjoy the use of two computers free of charge. There is a restaurant that offers breakfast, meals and dinner for good prices. We also provide a storage room to keep bicycles, surf boards and luggage. There is complimentary Wi-Fi all throughout the building. The hostel’s living room is situated on the 3rd floor and boasts an amazing terrace with some breathtaking mountain-side views. This area has a buffet and a kitchen with fridge and freezer where guests can keep groceries and cook. Apart from the kitchen and the dining areas, the 3rd floor has comfy sofas, a TV and a board where all the activities that will take place in the city are written down. There is also a place where you can play darts and table football. 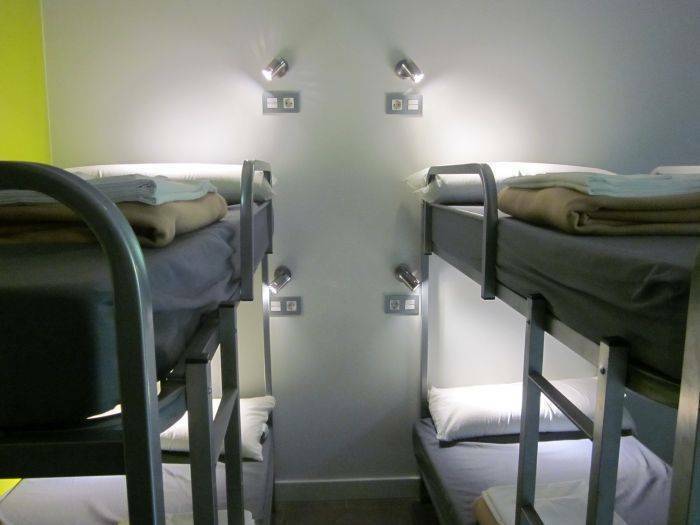 There are lights and sockets for every bed of the shared rooms so you won’t be bothered every time someone wants to read a book or charge an electronic device. Bed linen is included in all rooms. In the 4 and 6 bed rooms, you can rent towels, a hairdryer and an iron. There is also a laundry area where you will find washing machines and dryers big enough to do all your washing up in one time. Free parking space is provided for our guests. 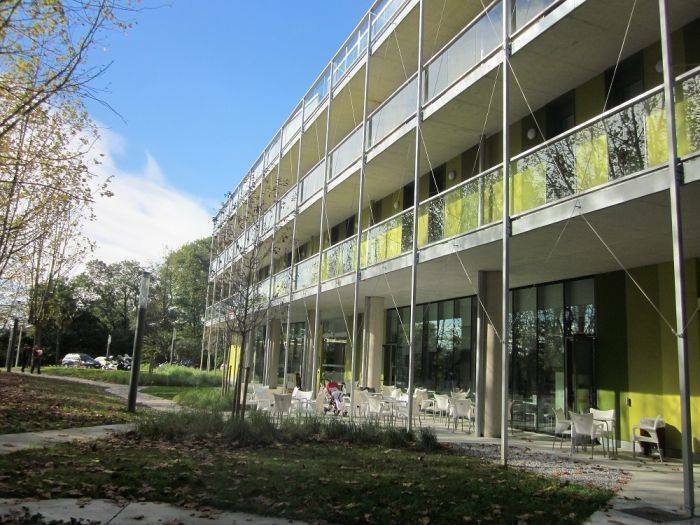 Green Nest Hostel Uba Aterpetxea es un nuevo albergue juvenil que ofrece alojamiento a precios económicos, diseñado para jóvenes que quieren conocer San Sebastián-Donostia mientras se alojan en plena naturaleza y disfrutan a la vez de los mejores servicios. Este albergue juvenil cuenta con 196 camas en 44 habitaciones compartidas o privadas, distribuidas en habitaciones séxtuples, cuádruples y dobles. Se aloja gente de todas partes del mundo y da la posibilidad de conocer diferentes culturas con jóvenes de distintos países. Ubicado en el parque de Ametzagaña un lugar de paz y tranquilidad a 4km del centro y transporte público a diez minutos del albergue. Todo el albergue dispone de conexión Wi-Fi. El área común del albergue está ubicada en una espectacular terraza con unas vistas impresionantes. Este espacio tiene un buffet, una cocina con nevera y congelador donde los huéspedes pueden almacenar su comida o cocinar. Aparte de la cocina y el comedor hay un acogedor salón con sofás, TV y un panel donde se ponen todas las actividades, eventos, ferias… que se organizan en la ciudad. También hay un sitio de juegos con futbolín y diana para jugar a dardos. Hay luces y enchufes para cada cama en las habitaciones, con lo que puedes leer sin molestar al resto de huéspedes y cargar todos tus dispositivos. La ropa de cama está incluida en todas las habitaciones, en las habitaciones compartidas se pueden alquilar toallas y candados y también hay opción para alquilar secador y plancha. El albergue también cuenta con el servicio de lavandería, con lavadoras y secadoras lo suficientemente grandes para poder hacer la colada de una vez. Hay una amplio parking que es gratuito para todo el mundo que este alojado. 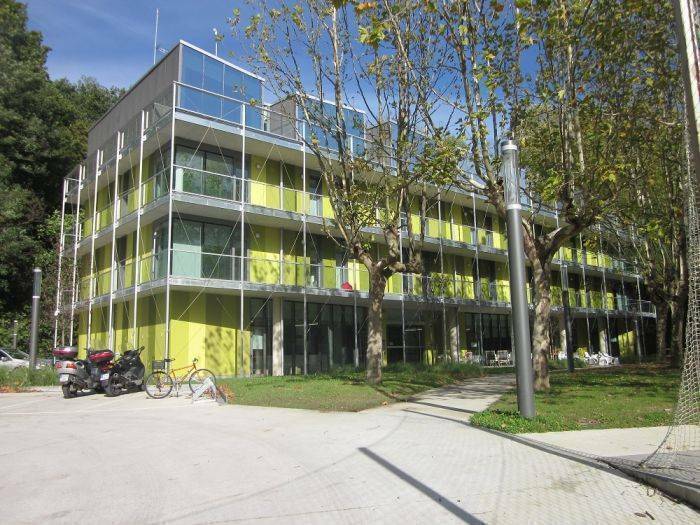 Located on the south slopes of Ametzagaina Park, Green Hostel Donostia is 4km away from the beach and the city center. You can take relaxing walks or do sports (we have facilities for football lovers!). Should you like to go to the beach or to the old town just take a bus and in 30 minutes you will be in the crowded city center! There is a direct daily bus provided by the company PESA at 15:30 hours which arrives to San Sebastian bus station at 16:15 hours. If this timetable is not suitable for you, there is another option through Hendaya.